The outbreak has been linked to cucumbers grown south of the border. 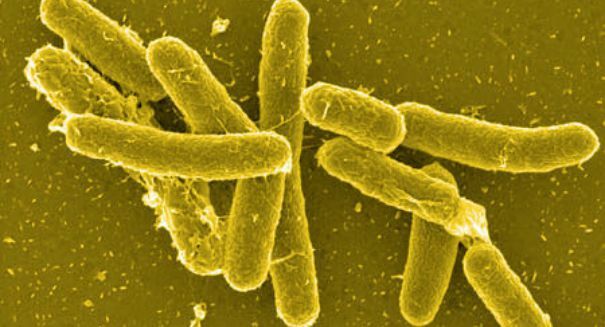 Health officials in the United States are urgently trying to contain an outbreak of salmonella that has sickened hundreds and killed one person after spreading from Mexico. Authorities have recorded Salmonella Poona in 27 states in the last couple months, based on data from the Centers for Disease Control and Prevention as reported by CNN. A total of 285 people have been sickened and one have died. Half the people have been children under the age of 18, with the lone fatality happening in California. Arizona, which shares a border with Mexico, has been slammed with cases, getting 66 in six counties based on the latest estimates. The tainted cucumbers are believed to come exclusively from Mexico; food grown in Arizona is not considered to be at risk. Dr. Cara Crist, who is the director of the Arizona Department of Health Services, said that authorities have been scrambling to get a handle on the problem, working around the clock along with the federal government to locate the source of the outbreak and to stop any more Salmonella-tainted foods from entering the food supply. Salmonella Poona causes normal symptoms of this ailment along with diarrhea, nausea, and abdominal cramping. Those with weak or compromised immune systems are most at risk of succumbing to the disease. If you have eaten cucumbers and are experiencing severe diarrhea, authorities urge you to go to the doctor to get checked out. Salmonellosis is a type of food poisoning that is cause by the bacteria Salmonella enterica. There are a variety of subtypes of this bacteria, which is more common during the summer months than the winter. Children are most at risk of salmonella, as are older adults and those who have compromised immune systems.